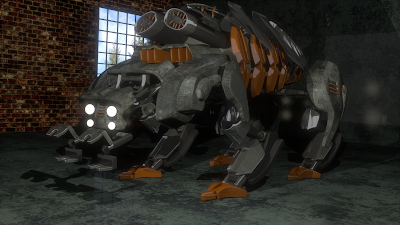 For the last few weeks I have been modeling robot that I got inspiration from Crying Wolf (Metal Gear Solid 4) and the main image in CG cookie contest for CG cookie blender contest. I used normal blender render tool, but my next approach would be to use cycles in which I will create new materials that will look more realistic. Hurry up all potential contestants as rendering image must be submitted before 30th September.